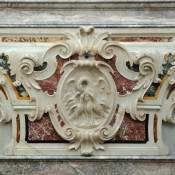 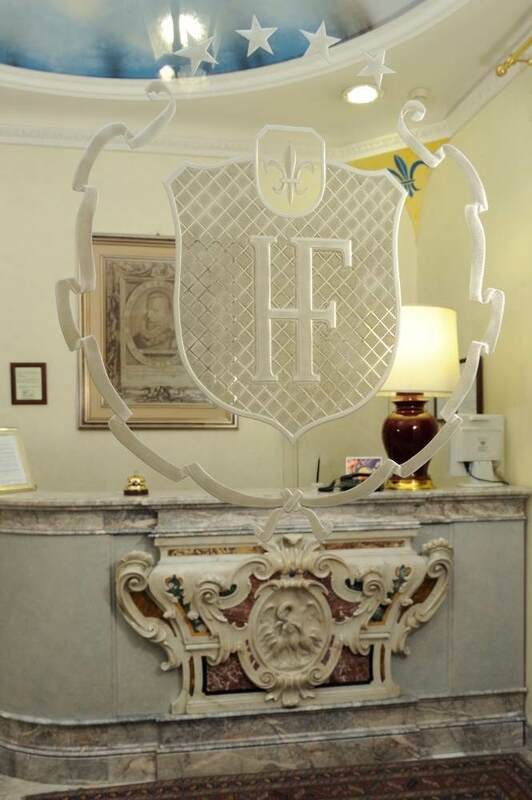 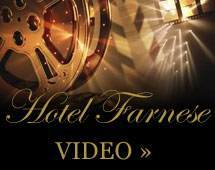 A palace that dates back to 1906 is the home of Hotel Farnese, one of the most prestigious 4 star hotels of Rome. 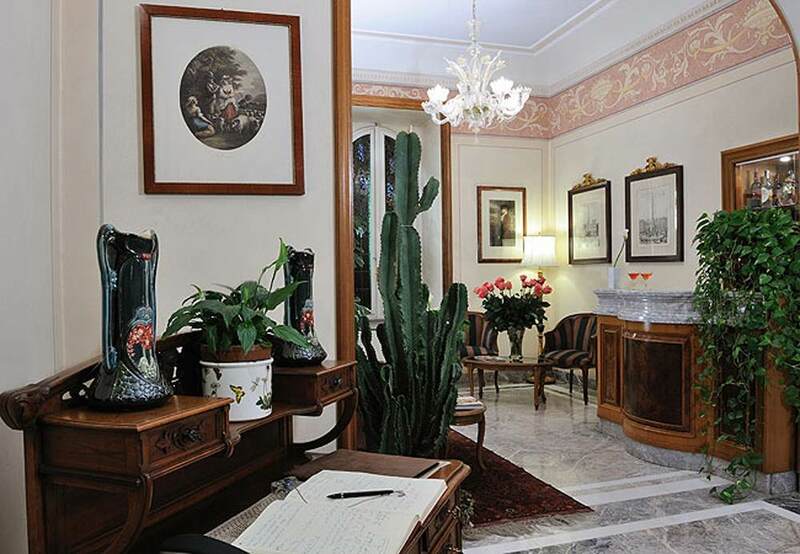 Built by Piedmontese during the Umbertine Period, the hotel’s elegant setting is enriched by authentic Italian works of art, including: Antique pieces, period paintings, engravings and antique rugs. 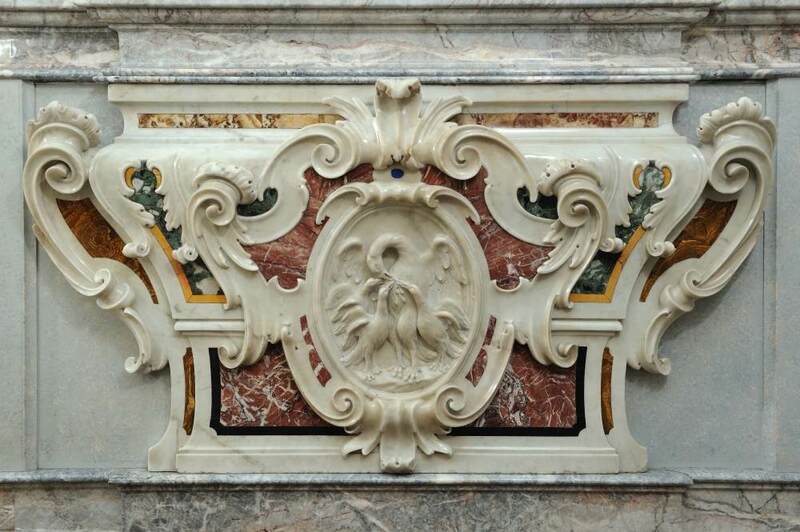 The handsome atrium lobby hosts authentic Italian works of art from the 17th century: A Luis XIV frontal made of multi colored marble, mounted in the reception base. 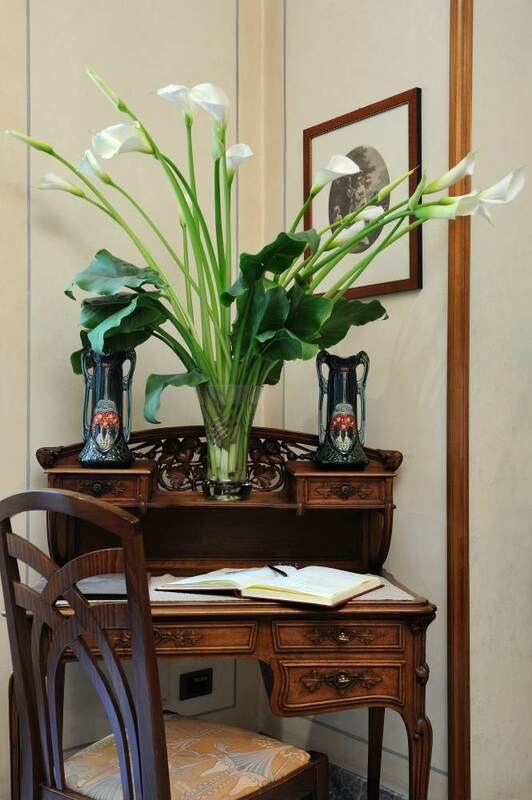 It’s a pleasure to take a break in the hall near the atrium lobby, which features period furniture and authentic works of art, such as the portrait of Pope Paul III Farnese and the art nouveau desk. 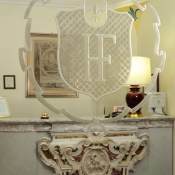 The beautiful wisteria which every Spring decorates the facade of Hotel Farnese, inspired the stained-glass window at the end of the lobby, made of blown opalescent glass. 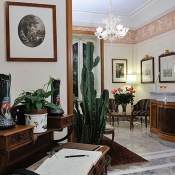 From the hotel’s roof garden, reserved for breakfast, you can admire a magnificent view of St. Peter’s Dome and the characteristic Roman roof tops: The American style buffet is rich and enjoys a large selection of courses. 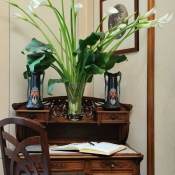 We place particular attention in choosing first quality fresh products. 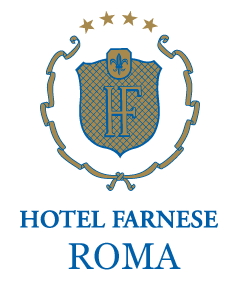 Hotel Farnese was named after the quiet street it opened in, Alessandro Farnese (1545 – 1592), of which the hotel still keeps a picture. 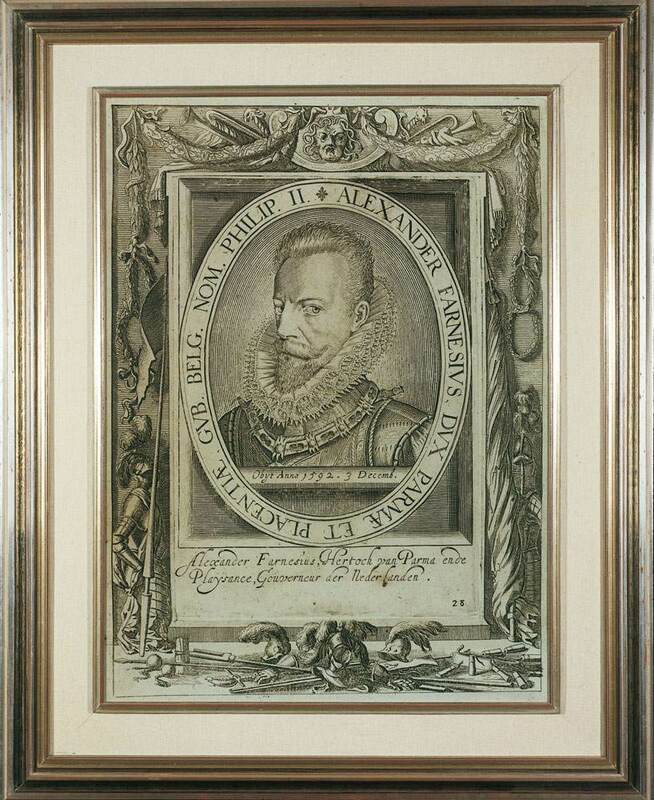 Son of Ottaviano Farnese and Margherita of Austria, nephew of Emperor Carlo V, and great grand son of Paolo III Farnese, Alessandro Farnese was the Duke of Parma and Piacenza, governor of Netherlands, as well as one of the greatest leaders of the 16th century. 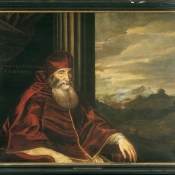 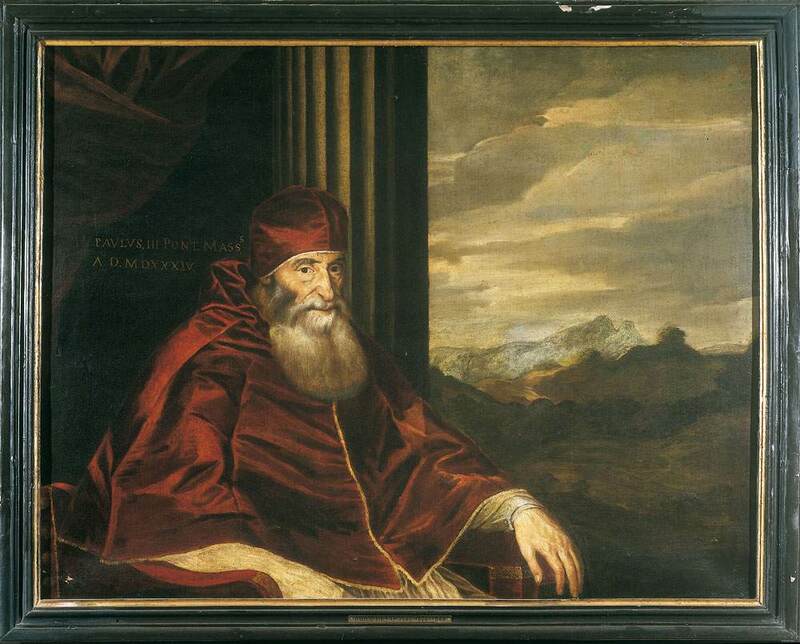 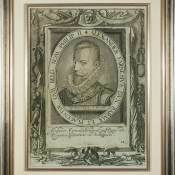 In addition to the effigy of Alessandro, Hotel Farnese celebrates the noble Roman Farnese family with a painting of Pope Paolo III Farnese (1468 – 1549), one of the greatests politicians and patron of the arts.